LONDON, 11 February 2019: Sales of mindfulness magazines, a new and emerging category in print media, have quadrupled in the past two years bringing hope to an industry threatened by the explosion of social and online media, and streaming. The category of 12 print media, including Planet Mindful produced by TI Media, has closed the book on the traditional celebrity-led, fad-diet culture of glossy magazine formats, in favour of an approach which supports better mental and social health – and helps readers feel good about themselves. 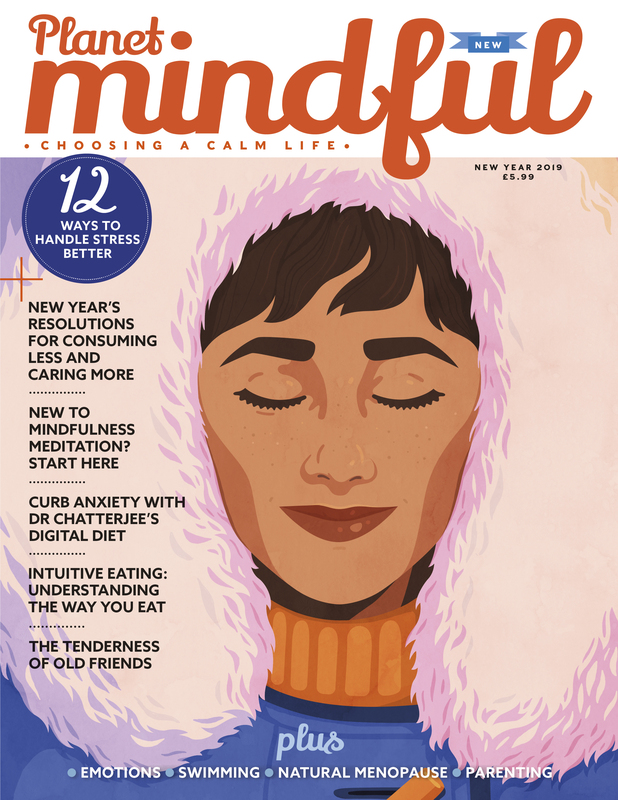 According to data from Marketforce, the distribution arm of TI Media, overall revenues of mindfulness magazines were up 56.4% in 2018 against the total magazine market (-4.8%). Planet Mindful will launch its seventh issue in March as it increases print run from quarterly to bi-monthly in response to strong growth. The second issue of its new sister publication, Young & Mindful, aimed at young adults aged 18-24, is out on 14 February. Editor, Louise Chunn, says the tide is turning in print media where mindfulness magazines are providing respite from the pressure to measure up to unrealistic ideals. Having previously spent 25 years editing some of the UK’s top women’s magazines from Psychologies and In Style to Good Housekeeping and ES Magazine, Chunn believes magazines and advertisers need to understand that people are seeking something different in their lives. Christina Sequeira, Retail, International and Marketing Services Director at Marketforce, is close to market trends both in the UK and globally. Planet Mindful, which is dedicated to helping people live a calm and enriching life, is free of advertising, printed on matt paper, illustrated by drawings and artworks rather than filtered pictures of celebrities, and aims to inform and inspire without making its readers feel small or envious. Sections include Mind and Body, Relationships and Living, and subjects covered range from meditation to self-care, from making healthy food to learning about less-well known ways of exercising, such as slow yoga and Gyrotonic. Relationships are a key part of the mix; family, romantic, sexual and friendship which are all important in our lives. The magazine aims to explore how people can live in harmony with nature, and takes an environmentally conscious angle on things like beauty products, travel and nature conservation. Chunn says where ‘self help’ was once popular with baby boomers, now younger generations are looking for ways to cope with the pressures of modern life. Having founded the therapist platform Welldoing.org five years ago (recently named one of the top psychology websites in the UK and US), content in Planet Mindful is able to draw on the expertise of over 750 qualified therapists across almost every field imaginable. Inspiring and informative reads include dealing with past traumas, relationship breakdowns, becoming a new mother, understanding the basics of neuroscience, trying new therapies, slow travel, and simple pleasures of cooking. Planet Mindful issue 7 is available from WHSmith, Sainsbury’s, Waitrose and other supermarkets from 21 March 2019 for £5.99 RRP. The second issue Young & Mindful will be out on 14 February. This press release was distributed by ResponseSource Press Release Wire on behalf of Fran Bailey PR in the following categories: Health, Women's Interest & Beauty, Media & Marketing, for more information visit https://pressreleasewire.responsesource.com/about.